This now exists. If you like stickers and want to show your support for Upper Ojai Fire Relief consider picking and sticking. All proceeds will go to UpperOjaiRelief.com efforts. $5 and free shipping in the USA. Get a decal, sitick it on your window and show your support for those who lost everything in the Fire. While the Thomas Fire rages through Ventura and Santa Barbara counties in Southern California, we are dealing with its aftermath here in my home region of the upper Ojai valley. I created this t-shirt design as a souvenir of this beyond epic event and to help those most in need who lost their homes and everything they owned. I will be donating all proceeds to the campaign at Upper Ojai Relief less USPS 1st class or priority shipping. My neighbor Greg stayed behind to defend our road against the fire. Get a shirt just like his and support those who weren’t as lucky as us. OJAI FACE DECAL SALE, Select the “dozen deal” in the drop down below and get 12 decals for the price of 10. OR buy 3 and save $1. PLUS FREE SHIPPING IN THE USA. From the sunniest, magicalest valley on Earth. Follow me @iamchristwilson on Instagram. To REPRESENT your love of our fuzzy, thick, warm valley, I offer you the Ojai Smiley Face Decal. This is a 3.5 inch high quality vinyl decal sports a 5-7 year life expectancy when stuck to a car window or bumper. Valued at a lifetime of Ojai enjoyment for only $3. Actor Paul Blackthorne had me over to his Ojai home recently and he said I could bring my microphones. He has a great house. I like it because its both modern and rustic. Plus its hillside location and thick stand of pine and oak, make it seem perfectly tucked. Shoes off please. I like that. Perhaps you’re aware of Paul’s documentary This American Journey. It was shown in a special screening at the 2013 Ojai Film Festival. Now its available on Amazon (use my banner link, thanks) and Hulu. Well, on this visit to Paul’s place he and photographer Mister Basquali were conspiring on the followup to their New York-Los Angeles road trip documentary. British born Blackthorne and Australian bred Basquali both dreamed of living in the US as children. It’s fun to hear them talk about how their lives were transformed by America. And how their desire to be a part of this country has shaped their destinies. On the television, Blackthorne plays Detective Quentin Lance on the CW Network show Arrow. Mister Basquali is a renowned art and commercial photographer who owns the Smooch Cafe in Brooklyn, NY’s Fort Greene neighborhood. I needed an extra mic to record our interplay, so I worked a deal with Don and Patricia over at Cardinali Brother’s Music in Meiners Oaks. Don did a little work on my guitar too. Great folks. Happy they exist. Take some lessons, buy a guitar! Todd Hannigan and me in his recording studio. Little Black Kitty makes an intro. This will likely be my last podcast of 2013. I’m traveling to Holland, Belgium and France for the holidays and will put up some more fresh interviews in January. This has been a great year, I washed a lot of windows, printed a bunch of t-shirts and met some really cool people that I now consider friends. Doing this podcast has really pushed me creatively. I’ve grown in my appreciation of Ojai and I’m even more committed to partaking in the swirling magic of our local community. Todd Hannigan makes a big inspiring impact on me in this interview. I enjoyed very much geeking out in his state of the art recording studio. Seeing and hearing that sweet high tech gear makes me wanna drain my bank account on a microphone or two. All in good time. But what I really like about Todd is his commitment to an underlying principal of sustainability, community and positive world stewardship. Its seems obvious to me that he’s grateful to be in Ojai feeding into and on the great vibes we have here for making art and having a beneficial impact on the whole world. I can even hear that in the song he sings near the end of the interview. I’m glad you’re tuned in here and I hope you enjoy my visit with Todd. Todd’s personal website toddhannigan.com has a bunch of songs on it and more info on him. Todd’s recording studio Brotheryn Studios dot com will give you the further low down on how he’s spreading the good sounds around. Another gift in 2013 came in the form of a little black ball of mewing fur. She started hanging around the barn so I started feeding her and now we’re getting pretty used to each other. She’s a good talker and enjoys time on the mic. She is the Little Black Kitty. Since 2001 Steve Sprinkel and Olivia Chase — The Farmer and The Cook respectively — have been serving up organic food at their casual corner grocery and restaurant in the Ojai Valley borough of Meiners Oaks. It’s real good food. On this episode of the podcast, Sprinkel sits down with me in his humming organic office at the market and we discuss the state of affairs with local, regional and national issues around farming food production and regulation. If that seems boring, quit being so negative. Steve is a local legend and a regional and national expert on these issues, plus he’s one of the most entertaining characters I know in town. I think you’ll enjoy this episode and likely want to tell a friend or neighbor about it. I’m grateful for the Farmer and the Cook because they support my window washing efforts at their store and they now carry the “Organic Or Else” tie dyed tote bags that are printed by my hands with an ominous image of Sprinkel’s mug. I couldn’t resist. Go in there to the store at 339 W. El Roblar Drive in Meiners Oaks and check out the bags, the windows, the people, the soup and the bulk foods… for starters. And kindly enjoy this conversation, brought to you in part by the Ojai App for your smartphone, now with the 2013 Holiday Shopping Guide. Get it on your phone and keep up with your local community more completely. Cheers and thank you so much for supporting and listening and commenting and saying “hello” when I’m out and about in our beautiful paradise valley home. Goodness we’re the fortunate few. I met Lisa Casoni of Porch Gallery Ojai and the Ojai Art Festival a few weeks back and she introduced me to the ideas behind her collaboration on a brand new art festival here in town. We talk about Fallen Fruit of Ojai map which shows where you can find publicly accessible fruit in the downtown neighborhoods. I blogged about that a few days ago and wrote about it as well in the Ojai Valley News. In our interview we talk about Gordon Matta-Clark, who’s body of work inspired the Ojai Art Festival and earned main street Ojai with its very own garbage wall built by Greg at the MOB Shop bike shop. Here’s a video to learn more about Matta Clark from the Whitney Museum. I enjoyed this interview very much and I think you will too. Lisa is involved in some really great artistic activities, products and services that are revolutionizing the way a festival happens and artists and patrons interact. I add a new sponsor link to my side wall. 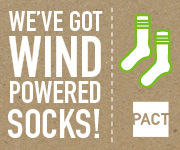 PACT APPAREL organic underwear, socks and tees. Also be sure to check out and download the Ojai App to your smartphone and stay on Ojai’s cutting edge. Me And Reed Fish got Sideways at Ojai Day on the Ojai App flyer. There’s a pretty good chance that you’ve observed the temperate climate of Ojai and how it lends itself to a verdant and rich display of agriculture throughout the Valley. Citrus and avocado groves blanket much of the landscape and in the downtown streets Ojai central, a surprising number of yards also sport a variety of fruit-bearing trees, bushes and vines. A number of the yard and publicly planted fruit trees hang over sidewalks and roadways drooping heavy at times with a bounty of unpicked fruit. This is where the guys at Fallen Fruit come in. Essentially a public art collaboration, originally conceived by David Burns, Matias Viegener and Austin Young, it began by mapping fruit trees growing on or over public property in Los Angeles and other cities. This fruit, they determined, was up for grabs by anyone who passes near or neath it on the sidewalk or street and dares to reach up and pick it. Oranges, lemons, loquats, grapes and pomegranates all make an appearance in Ojai’s downtown blocks their newest map reveals. “We are working with Fallen Fruit from Los Angeles in two different ways. One is a neighborhood infusion that will soon be distilled here in Ojai right before the festival begins on November 7, and the other is a map that they have produced of Ojai called Fallen Fruit of Ojai. Here’s information about them on our website,” Casoni stated. When Lisa gave me a copy of the map, it opened my eyes in a whole ‘nother way. Now on my bicycle rides and walks, heck even driving around, I’m suddenly more aware of the trees and peoples’ yards. Further as a progenitor of face-shaped Ojai art, its pretty cool to me that the map drawing looks like a head. I like that the maps by Fallen Fruit aren’t exhaustive, rather focusing on a few streets in a local neighborhood. Ojai’s new map is bordered by Shady Lane and Signal Street on the east and west and by Grand Avenue and Ojai Avenue on the north and south. The kicker comes down Thursday evening Nov. 7, 2013 at the Ojai Art Festival’s opening at the Porch Gallery which will also include works from photographer Enrico Natali. Also featured at the gallery will be several artists who have been juried into the Ojai Art Festival. At this point we’ll all be able to handle paper copies of this map and get our thirsts all over this neighborhood infusion. My understanding is that it is some sort of rye and mulberry mixture Lisa dreamed up with Jorge at OBC. Can’t wait to get my kisser up close and personal with a few thimblefuls of that. MMMMM AHHHH.